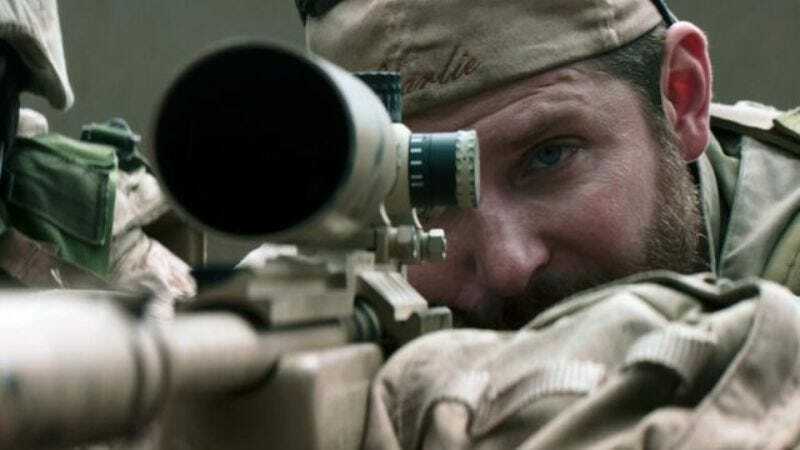 This may come as a shock to some people, but Bradley Cooper—the Oscar-nominated actor from Philadelphia—was never a U.S. Navy SEAL sniper in the Iraq War. The confusion is understandable because he did pretend to be one in front of Clint Eastwood’s cameras in the process of making a biographical film about controversial war hero Chris Kyle. Prior to falling victim to an act of domestic gun violence, the actual sharpshooter Cooper played in American Sniper had, by all accounts, very right-leaning views and is still considered somewhat of a hero to conservatives (including those looking for excuses to persecute Muslims). Bradley Cooper’s appearance at the Democratic National Convention Wednesday night has irked some conservative fans of the actor’s portrayal of Navy SEAL Chris Kyle in 2014’s “American Sniper.” … Some Twitter users say they plan to boycott Cooper’s future films over his presence at the convention. Another commented that they thought his experience playing Kyle would have rubbed off on him. How earnest these commenters are in this disgruntlement unknown. It’s possible that they’re upset that the DNC’s A-list celebrities are in the audience while the RNC’s D-list celebrities were on the stage. At any rate, it’s worth noting that the actor Bradley Cooper, in addition to not being a Navy SEAL sniper, is also not a ’70s-era FBI agent, an author under the influence of an experimental drug, or an anthropomorphic talking raccoon from outer space.